Leigh Parker started her career at Rockwell Collins as an engineer, but was quickly promoted to a position of leadership. 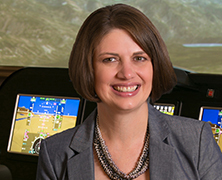 She has held key leadership roles in several successful programs at Rockwell Collins, including development of air transport displays, situational awareness applications, and proline fusion development. Prior to becoming Vice President of Rockwell Collins’ Commercial Systems Engineering division, she held the role of senior director of engineering for avionics programs, where she was responsible for overseeing the engineering design and development for all Rockwell Collins Pro Line projects and systems. 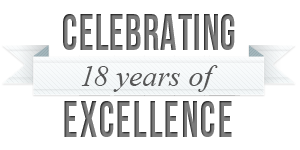 Leigh won Rockwell Collins’s 2013 Commercial Systems Lean Achievement Award and was a finalist for the 2007 Chairman’s Team Award as well as semifinalist for the 2005 Engineer of the Year. 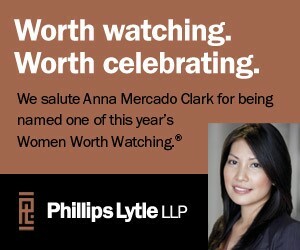 She is seen as a leader in the industry, having been selected as one of Aviation Week’s Top 40 Under 40 in 2014 and a 2012 Waypoint Tribute to Women of Achievement honoree. In addition, she is a board member of the Aerospace Vehicle Systems Institute. Within the organization, Leigh serves as enterprise vice chair for the Friends of Asia Employee Resource Group, participates in the Women’s Forum, acts as a mentor in the company mentor program, and sponsors the Engineering Management Community of Practice. She is passionate about encouraging innovation and uses these venues to do it. Away from Rockwell Collins, Leigh regularly volunteers at her daughter’s elementary school, helping young students reach their potential, especially in STEM (science, engineering, technology and math) disciplines.